FUNNY PRANK CALLS AT THEIR VERY BEST!!! We all love a good prank. Especially when the victim of the prank is someone you know. And best of all, it was you who set up the prank. Fabprankcalls.com provides a very cheap, easy-to-use service for you to instigate a hilarious prank call on a friend or colleague. Our prank phone lines run 24/7 so you can play a prank on someone any time of day, any day of the week! 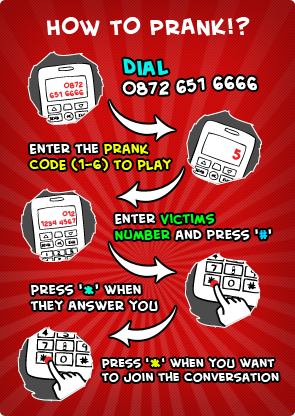 The best bit: You, the caller, control this prank via your telephone keypad. WE ARE EASILY THE CHEAPEST PRANK CALLS PROVIDER IN THE UK. 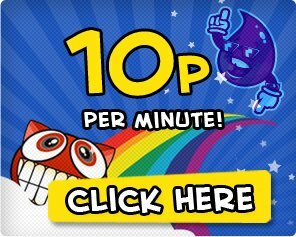 We bring you our excellent service for only 10P PER MINUTE AT ANY TIME. All other prank calls services out there use premium rate call services, meaning you pay at least £1.50 per minute from your landline, and more from your mobile. That makes us at least 15 TIMES CHEAPER than the competition! Fabprankcalls.com offers some great prank phone calls that will fool your friends, allowing you to make fun of them for weeks. And at the price we offer, you can prank as many friends as you want!